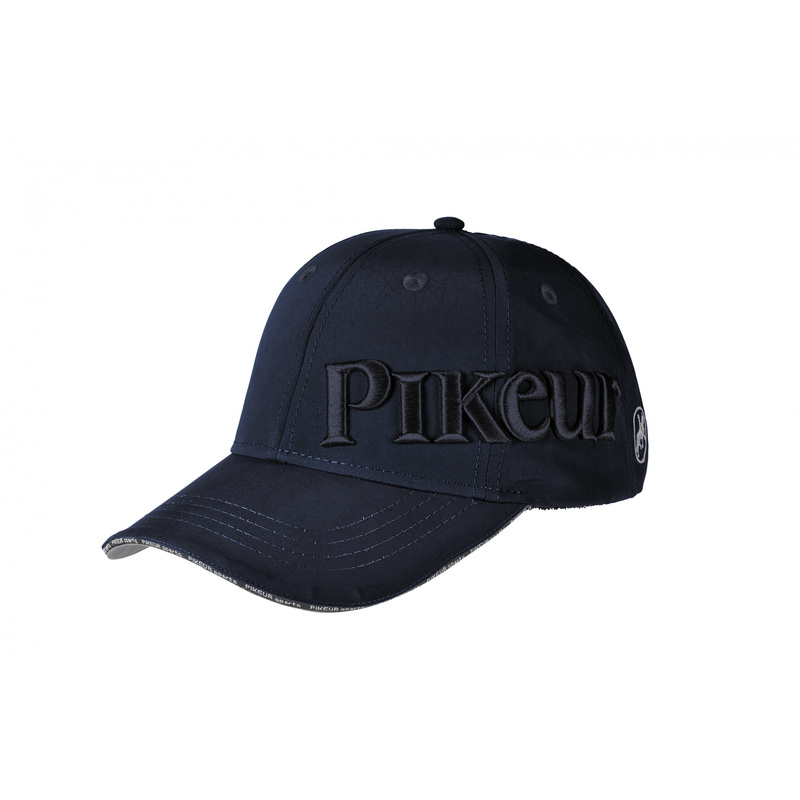 Classic cap with peak made of fabric. Regulation strap is fastened with a buckle. 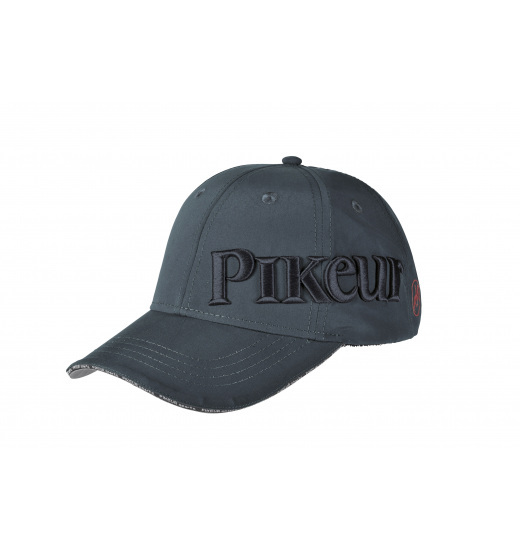 The cap is decorated with a 3D embroidery, Pikeur logo and discreet trimming on the peak.